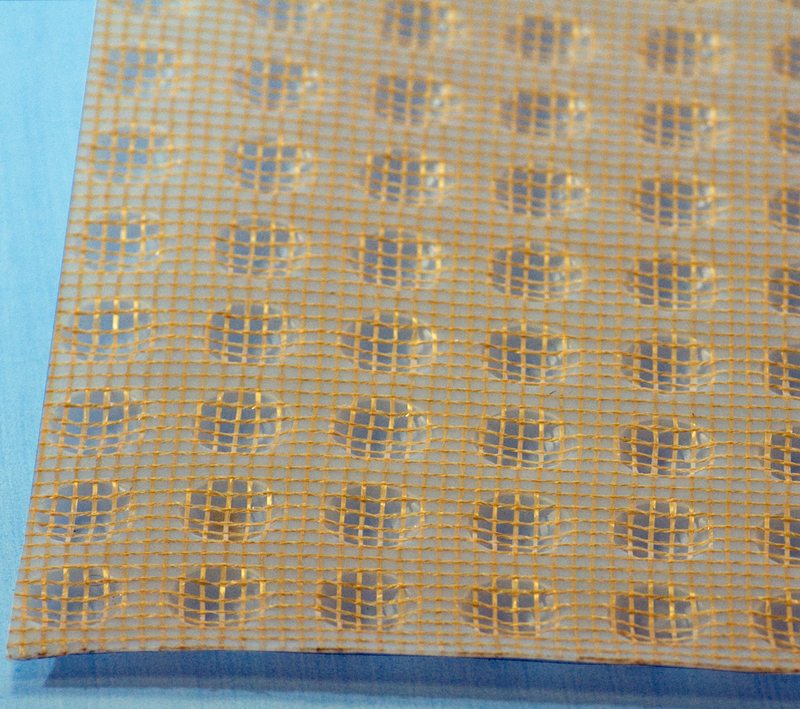 Waterproof mesh membrane for waterproofing walls in basement and cellar conversions. Presents tough HDPE mesh surface for direct application of various wall plaster finishes or for adhesive dot and dab plasterboard. 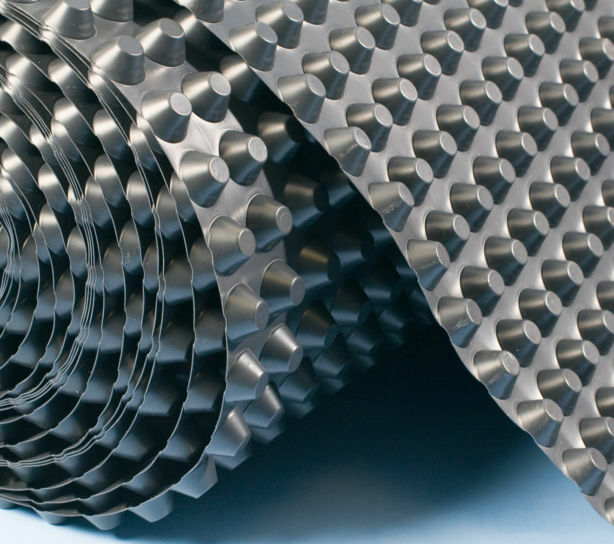 Manufactured from high density polyethylene with 8mm studs to create continuous cavity drain membrane channels. 5.3 Litres of space per m2 of waterproof mesh membrane permits ample water drainage and air circulation, allowing underlying walls to drain and breath. Suitable for waterproofing walls in domestic or commercial environments, either above or below ground. 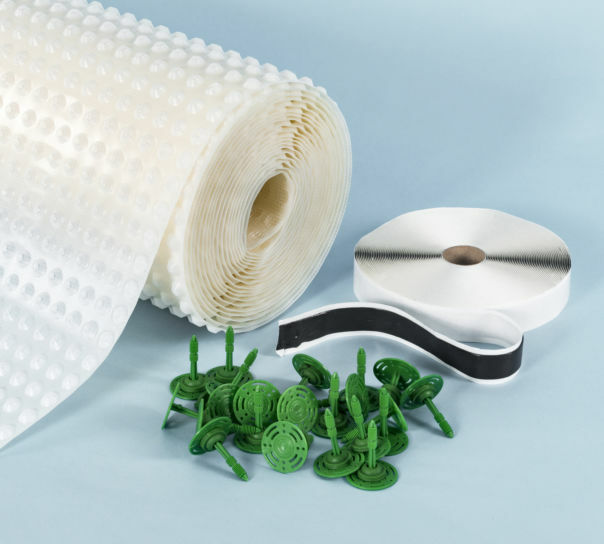 For each roll of Baseline Mesh cavity drain membrane you will need a roll of Waterproof Tape and, for each 20m2 of membrane, a bag of 200 plaster plugs with ready-mounted waterproof seals.